Woolmonster in ‘mohair look’, the ultimate 10-ply pullover made in stocking stitch. ‘Woolmonsters’ are made to order only: Color, knitting style, number of yarns and patterns can be selected as you like. 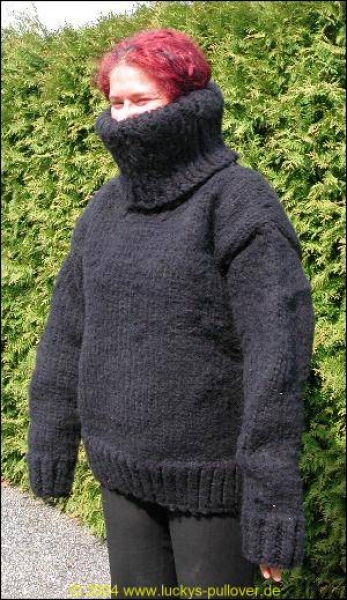 Weight depending on knitting style and length of turtle neck.